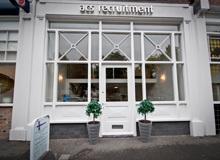 ACS are recruiting for a Business Development Manager for a law firm in Manchester. Operate as the point of contact for the Health Business Group (HBG). Develop and maintain good relationships with all fee earners within HBG. Analyse the market, and identify new client development opportunities and promote cross-selling of other services. Assist fee earners with maximising generation of leads from existing contacts, intermediaries and other relationships. Plan and implement new client relationship programmes that develop the firm’s brand and enhance its reputation in key markets and sectors as agreed with the Head of Health. Identify opportunities to grow business with potential and existing clients. Capture and document business development activity to share across the business. Support the development of clear team business development plans for growth in line with national business development strategies. Generate ideas for effective new activity in pursuit of the plans. Collaborate with the rest of the marketing and BD team to ensure consistent delivery of services for HBG. Contribute to the business development and bid pipeline of activity. Be familiar with targets identified within the HBG. Work closely with other team members in sharing best practise and ensuring the overall success of the firm’s business growth. Plan and implement business development opportunities through networking, sponsorship and partnering with intermediaries. Support fee earners in driving the implementation of team business development plans and manage delivery. Forecast and track client account metrics. Devise monitoring and reporting mechanisms appropriate for legal director/partner meetings and development reviews. Produce regular BD progress reports for the Head of HBG. Manage and support partners with the monitoring and delivery of the Health marketing budget. Business/Marketing qualification, or degree (or equivalent) and evidence of continuing personal, professional development. Proven experience with CRM programmes and target plans. Excellent and engaging communication skills. Demonstrable numeracy, forecasting and strong analytical and presentation skills; ability to influence and negotiate with key stakeholders. Flexibility in approach and a willingness to work outside normal office hours, if required. professional environment. Ability to manage multiple projects and relationships simultaneously.